Has there been a faster growing female driven EDM DJ group than Krewella? Consisting of Jahan and Yasmin Yousaf, as well as producer “Rain Man” Krewella has grown so much. In the past two years, they have gone from being virtually unheard of to a “must see” at the infamous Electric Daisy Carnival. 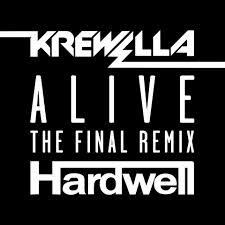 Many artists have remixed the dance floor anthem “Alive” such as Pegboard Nerds, Archie, Cash Cash x DJ Kalkutta, but now Hardwell has taken a shot at it. His remix keeps a lot of the best elements from the original and adds a Dutch House vibe that changes the song around completely to make something new. Check it out for yourself, and see what you think!